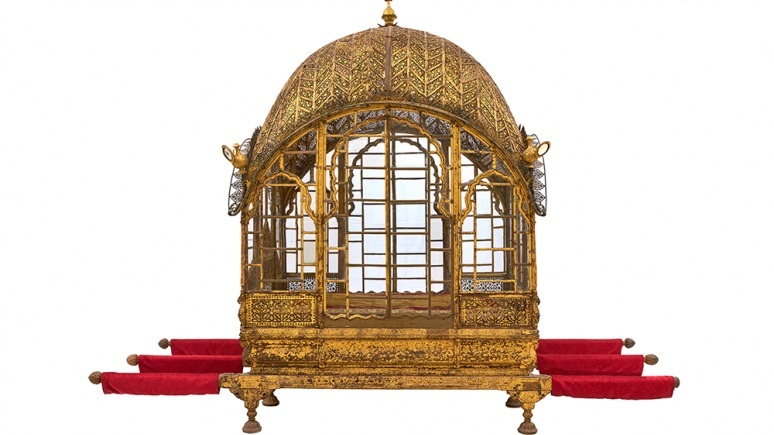 Gujarat, Palanquin (Mahadol), c. 1700–1730, gilded wood, glass, copper, and ferrous alloy, Mehrangarh Museum Trust. Neil Greentree, photographer. Details: Explore the spectacular royal arts of one of India’s greatest former kingdoms, Jodhpur, Rajasthan. 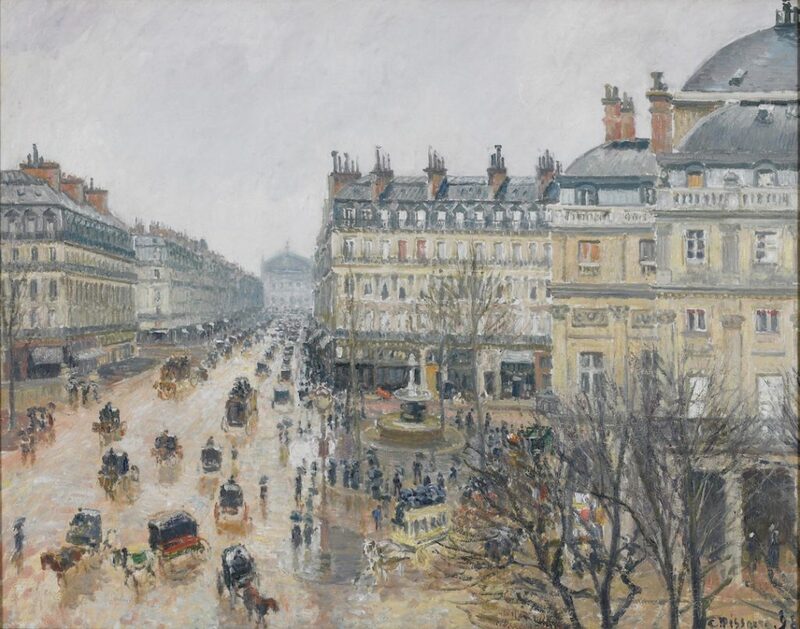 Alluring jewellery, lavish tents and canopies, vibrant paintings, and opulent decorative arts tell stories of kingship, strategic alliances, the role of women and life at court. Amassed over the course of nearly four centuries, these treasures reflect the history and artistic legacy of the Rathore dynasty, one of the longest continuous royal lineages in the world, that ruled this desert kingdom until India’s independence in 1947. Cost: Tickets range from $35 – $45, and $25 for arts workers and can be purchased on line at www.harbourfrontcentre.com/whatson. The show is approximately 65 minutes long with no intermission. Details: Shannon Litzenberger Contemporary Dance, in partnership with Harbourfront Centre, presents the World Premiere of World After Dark, reclaiming the night – a metaphor for the sensual, the embodied and the feminine. The production is directed and choreographed by Shannon Litzenberger, featuring lead performances by renowned Canadian dance artists Louis Laberge-Coté and Linnea Swan and an outstanding ensemble of performers. Inspired by Christopher Dewdney’s Award-winning book Acquainted with the Night, World after Dark explores the relationship of the physical and metaphorical night. From the three stages of nightfall to the science of the cosmos; from the birth of nightlife to the empire of dreams; from the biology of nocturnal creatures to the mythology of the night sky, Dewdney’s compelling poetic reveries and scientific explanations journey us on an epic voyage through the mysteries of night. 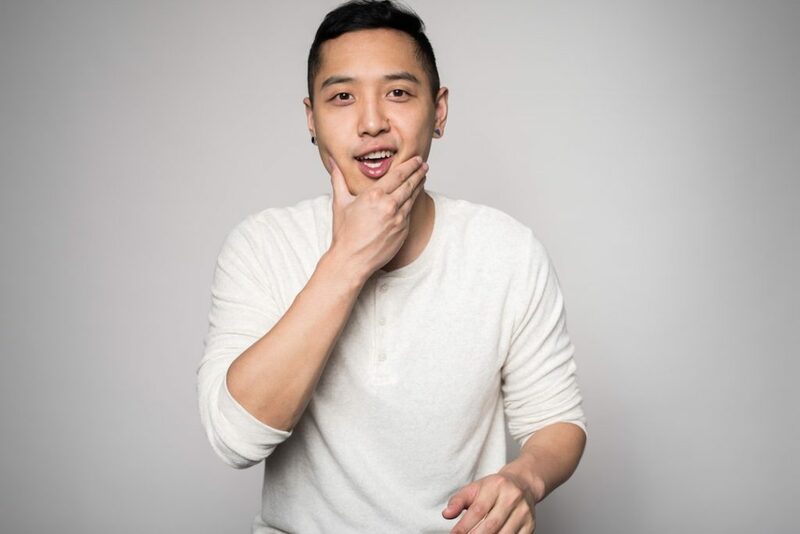 The work features an innovative responsive video design by Elysha Poirier that immerses the audience and interacts in real time with the dancers on stage. In addition, dance dramaturgy and voice/text coaching by Gerry Trentham, creative advisement and collaboration by Marie-Josée Chartier, text arrangement, editing and contributions by Guillermo Verdecchia, lighting and set design by Ken Mackenzie, sound design by John Gzowski and costume design by Alexandra Lord. 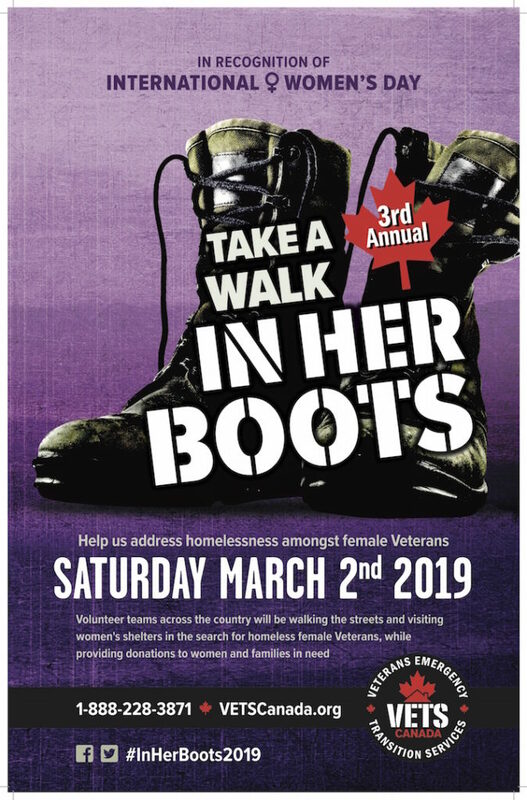 Details: Veterans Emergency Transition Services Canada (VETS Canada) will be holding their third annual In Her Boots awareness event in cities across the country on March 2, 2019. In recognition of International Women’s Day, volunteer teams across the country will be Boots on the Ground visiting women’s shelters and drop-in centres to provide donated comfort items whilst searching for female Veterans in need of VETS Canada’s emergency aid. The aim of VETS Canada: In Her Boots is to create dialogue and raise awareness regarding the issue of homelessness (and related issues) amongst female Veterans and their families; a topic too often overlooked. Read about the success of In Her Boots 2018 at vetscanada.org.